Epic Games' massive Epic MegaGrants program is meant to aid developers, creators, and a variety of other members of the industry. Epic Games announced a whopping $100,000,000 Epic MegaGrants initiative during the "State of Unreal" GDC opening session on Wednesday. 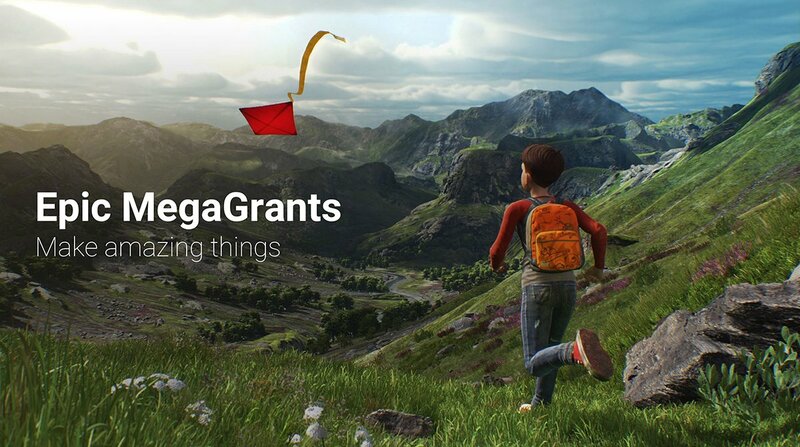 The grant will commit $100,000,000 to assist game developers, students, educators, enterprise professionals, media and entertainment creators, and tool developers who do "outstanding work" with Unreal Engine or work on enhancing open-source options for the community to use. The program is a significant step up from the Unreal Dev Grants program Epic previously hosted, which was launched in 2015. It awarded $5,000,000 to worthy participants, and the latest of those grants were just awarded recently. The awards will range from $5,000 to $500,000 and will cover various creative and technical pursuits. All recipients will own their IPs and can choose to publish with who they wish. Submissions will be judged and grants sent out to those chosen to receive them on a rolling basis. As such, there are no hard deadlines for when you can submit a particular product. This is a huge step forward from the company in terms of its benevolence toward up-and-comers and it's great news for anyone looking to make strides in the industry.